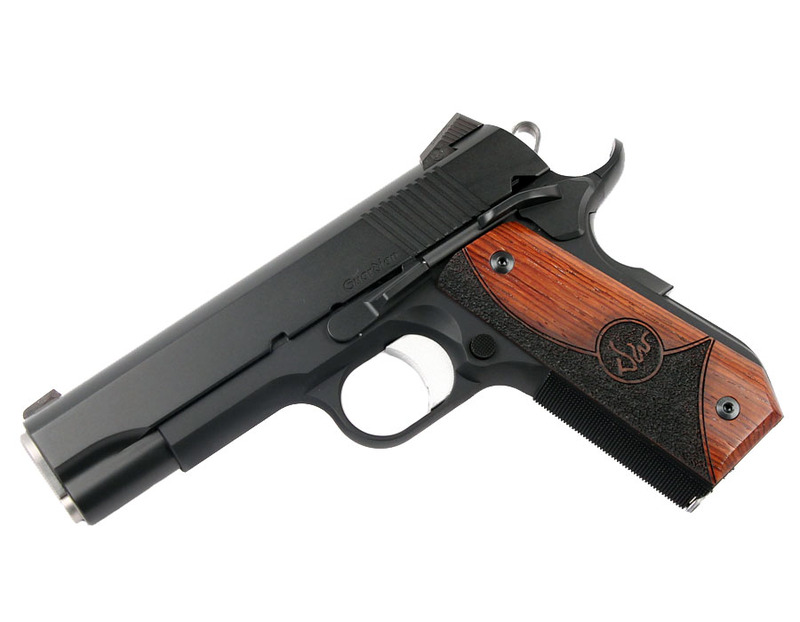 A lightweight commander with high quality parts, and attention to detail that you can expect when choosing Dan Wesson. 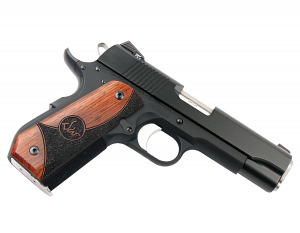 The Dan Wesson Guardian features an anodized aluminum bobtail frame with a 4.25" barrel and slide. Finished with the very tough duty black finish, handsome Dan Wesson engraved wood grips, three dot night sights, medium length trigger and 25lpi checkering on the frontstrap, the Dan Wesson Guardian is a refined version of the Commander 1911. Comes with two 9RD magazines and case. Great people there very informative, and friendy!